I’ve never heard of Tagolene, much less Skelly Tagolene. That sounds like a crimp-haired, Newport-smoking, jean skirt-wearing trollop who works the graveyard shift at The Waffle House. Like Skanky Jolene’s younger sister: Skelly Tagolene. Evidently, it’s not. Check out the art deco font on this map. So cool. 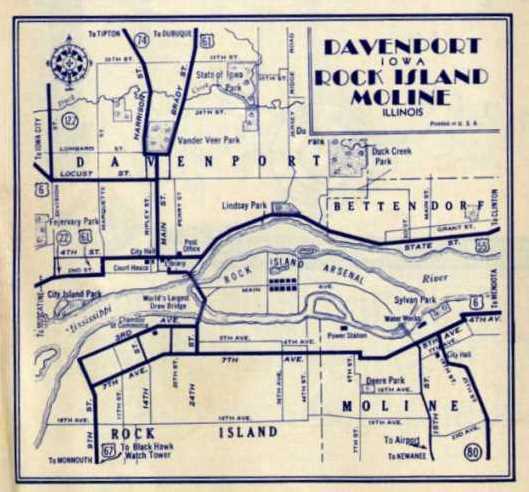 I love old maps. I used to own a tractor trailer with a Caterpillar engine in it. 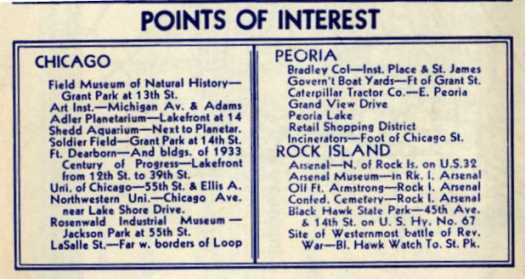 The center of their universe was Peoria – the world headquarters of Caterpillar. The culture of this city was so mechanically and mathematically and industrially inclined that any theater or stage act that played in Peoria was doomed to failure. (the culture was no doubt fed by the fact that Caterpillar drew only the best and brightest engineers and mechanics – typically left brain driven personalities. )One standing joke amongst stand-up comedians has been ” I spent four years in Peoria one night.” Peoria has been identified by many marketing groups as the market to beat -representative of the typical American tough market. Hence the saying “But will it play in Peoria?” As a result much test marketing and many consumer surveys have been done there. Virtually all marketers are aware of the significance of the city of Peoria in terms of product and service trials and testing. I always wondered why people mocked Peoria! I think the only city they mock worse is Cleveland, and I don’t know what’s bad there, either. Thanks for clearing that up, Smarty Pants. I knew a Talia Tagolene her nickname was Tagalong. Tagalong Tagalene. She didn’t smoke but she did wear tight jean skirts. Goodness, that really sounds like a limerick getting started. Perhaps I am confused by the map in question. 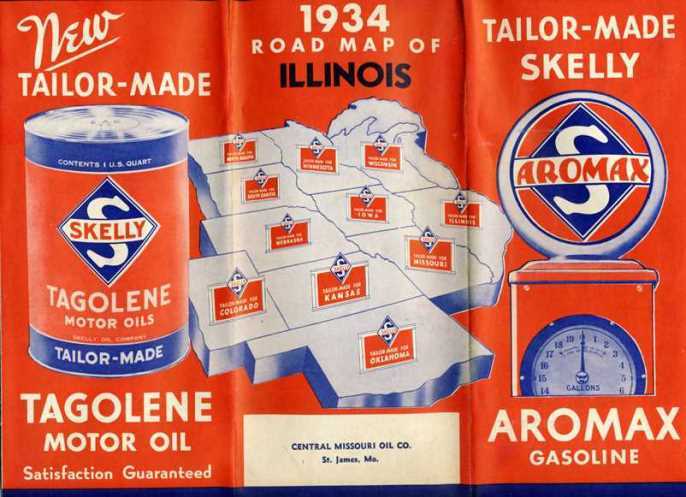 It says “Illinois” but the face of the map includes the Dakotas, Minnesota, Wisconsin and heads as far south as Oklahoma, all this and more from the Central Missouri Oil Company. . . It doesn’t make sense. I’m holding the map in front of me. Maybe they were advertising all the areas served by Skelly’s. I think Shelly Tagolene served me some rock lobster from Rock Island. How did the start to call an easy victim a skell, I wonder? Now you got me going on map-day gangster movies, Kerbey. Your map series is the best. I didn’t even know skell was a word! Has James Cagney ever said it? I’ve heard it hear and there. Gosh, I hope it was in the movies and not in real life!